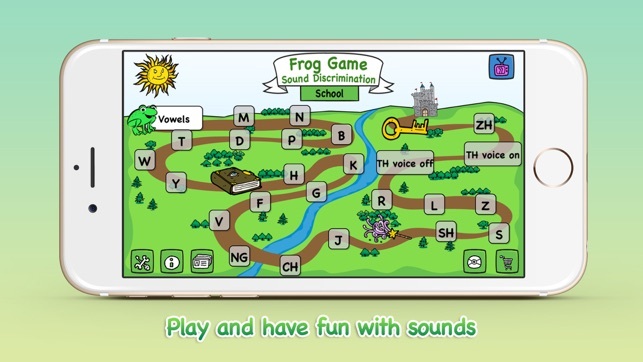 Work on key speech sounds with the Frog Game - School app. 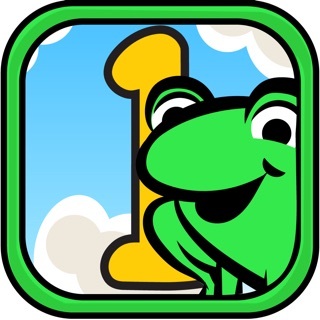 Developed by an award winning, certified Speech Language Pathologist, Frog Game focuses on improving auditory processing through phonological awareness skills that are essential for the development of reading, comprehension and spelling; that is, it aims to help children with hearing and processing the sounds in speech which is important for later learning to read and spell. 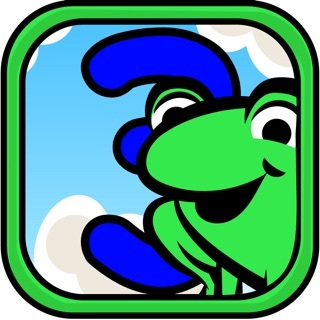 The Frog Game features the adventures of Hoppi the frog. An evil wizard has put a spell on Hoppi and he has lost his speaking voice. Help Hoppi get his speaking voice back by going to the Magic Castle with the secret that breaks the spell. Students practice the English consonant speech sounds in the same order as English speaking children acquire them while learning to speak. Help Hoppi find the Spell book that includes the recipe for the magic potion that Hoppi needs to drink to get his voice back. 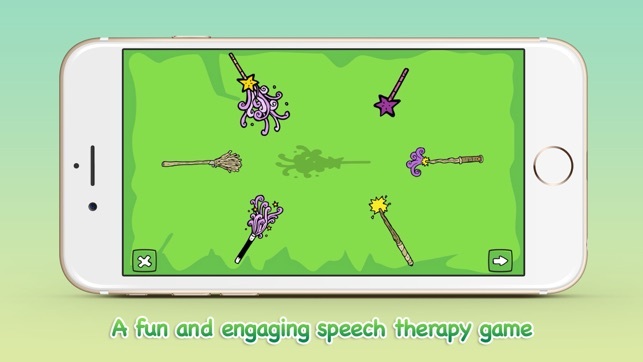 On the way to the Magic Castle play fun and interactive games with all the speech sounds including the vowels. The sun gives you helpful instructions at every stage. Collect stars on the way and see how far you are in the game! Teachers and SLPs can register all their students and track progress. Reports can be viewed, shared and printed. 2. In the first round the student needs to finish all the sounds in each “board” at the difficulty level provided. Then they can play as they want and go back and forth. This is important so that they do not skip through everything to begin with. 5) Each child registered can get through to a certain level at a certain time and continues from that level the next time she or he signs in. That way we make sure everyone goes through the whole program. 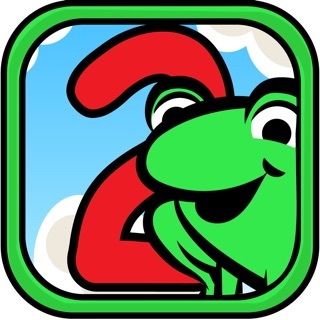 The app is designed for children aged from 4 or 5 yrs through elementary school. It gives the option for choosing easier exercise level for beginners. * Welcome to the Frog Game app. ***Disclaimer the apps will work for iPhone 4 but not at it´s optimum. The Amasing frog game review!!! 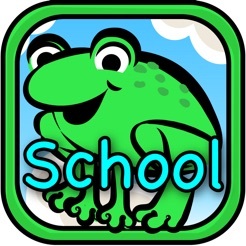 This app is really Good for grades 1 and 2. Teachers should use this app because every once in a while a student is not going to get what you are saying. I would suggest to use this app because it has many different learning strategies. This app can be used in writing and reading; any subject where kids are learning words. They have to drag the objects to the sound it makes. As the user advances it is a little harder, there are more objects or words and there are multiple words now to drag the object to the first letter. Users get a star every time they get something right. 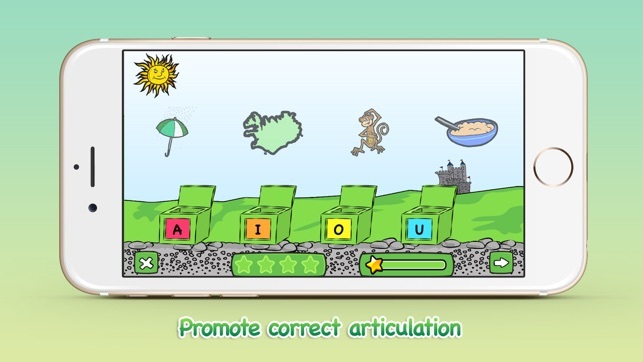 Great for Practicing reading and learning correct pronunciation of sounds. We started with smaller games Frog game, 1 - 3. Love the registration feature in the School game. Now all my kids are registered, not only at my school but my own at home as well. Will use this Summer!